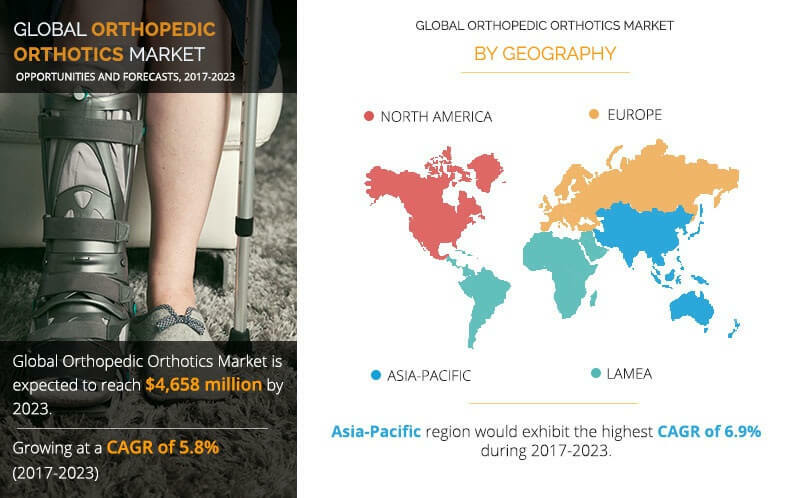 Orthopedic Orthotics Market Size and share , Industry Forecast 2023. 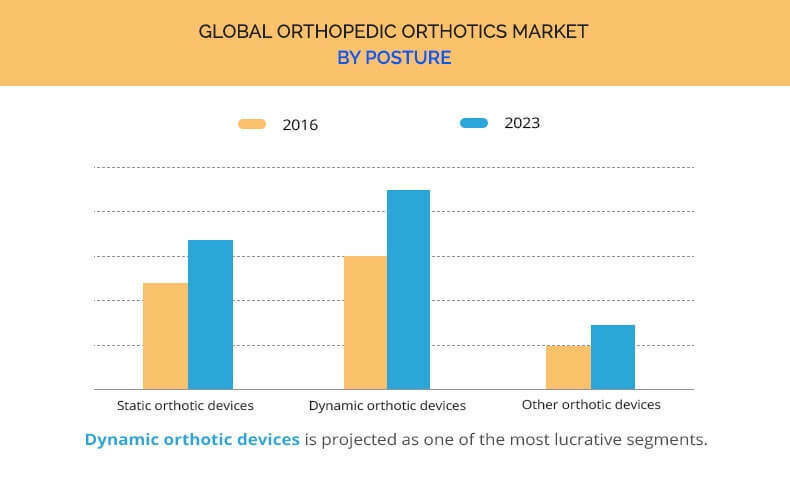 The Global Orthopedic Orthotics Market was valued at $3,130 million in 2016, and is projected to reach $4,658 million by 2023, growing at a CAGR of 5.8% during the study period. Orthotic devices include braces, splints, and other artificial external devices that are commonly used to treat conditions of the upper and lower extremities, frequently for patients with spina bifida, muscular dystrophy, and multiple sclerosis. 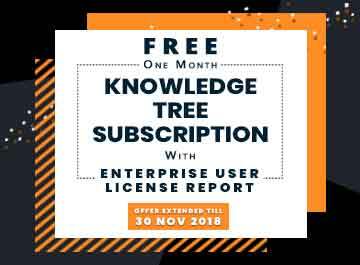 Growth in geriatric population susceptible to osteoporosis, osteoarthritis, and other bone disorders, rise in prevalence of bone injuries and increase in sports-related injuries due to growing physical health consciousness fuel the market growth are expected to drive the growth of the global optical fibers in endoscopy market. However, high cost of the customized orthotic devices are expected to restrain the market growth. Increase in incidence of arthritis is one of the prime reasons for the rise in adoption of orthotic devices. For instance, according to the Arthritis Foundation, in the U.S., knee osteoarthritis (OA) increases every decade, mainly in the age group 55 and 64 years. In 2016, there were around 14 million individuals in the U.S. suffering with symptomatic knee osteoarthritis. In addition, increase in geriatric population is expected to further boost the market growth. The elderly population has led to an increase in the number of high-risk patients for occurrence of orthopedic disorders, including those with comorbidities and/or compromised immunity. According to an article published in Tohoku Journal of Experimental Medicine in February 2016, approximately 23.1% of the Japanese population was aged > 65 years and 11.4% was aged >75 years at the end of 2010. By 2025, it is estimated that 30.5% of the population will be aged >65 years. Moreover, with the rise in road accidents, increase in aging population, and high incidence of sport-related injuries, the prevalence of chronic arthritis and other orthopedic diseases has rapidly increased in this region. For instance, around 15% (180 million) of the population suffered from arthritis as stated by the National Health Portal, India in 2015. 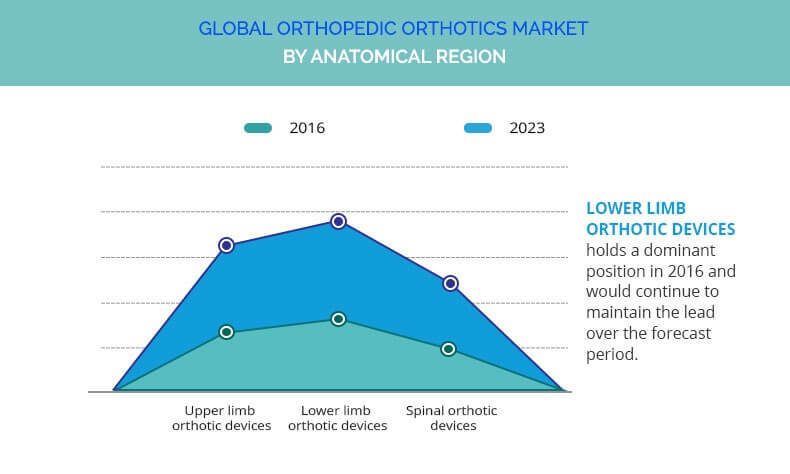 The global orthopedic orthotics market is segmented on the basis of posture, anatomical region, manufacturing, and region. Based on posture, it is categorized into static orthotic device, dynamic orthotic device, and other orthotic devices. On the basis of anatomical region, the market is divided into upper limb orthotic devices, lower limb orthotic devices, and spinal orthotic devices. Based on the manufacturing, it is classified into prefabricated orthotic devices, custom-fitted orthotic devices, and custom-fabricated orthotic devices. By region, it is analyzed across North America, Europe, Asia-Pacific, and LAMEA. 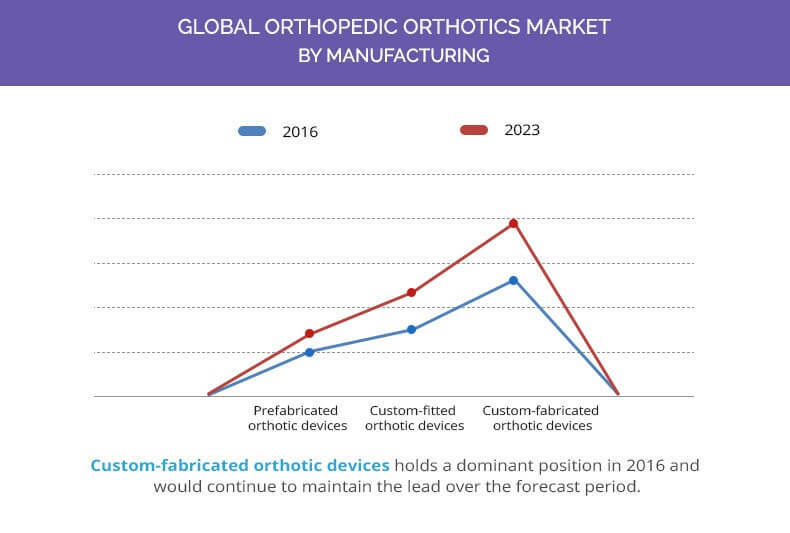 The key companies operating in the orthopedic orthotics market includes Bauerfeind AG, Breg, Inc., BSN Medical, DeRoyal Industries, Inc., DJO Global, Ossur, Ottobock, and Truelife, Hanger, Inc., and Fillauer LLC. The report provides data for 2014 and year-on-year forecast from 2016 to 2022. Orthopedic orthotic devices are braces, splints or externally used devices which is used by patients suffering primarily from orthopedic disorders. These devices can also be used in recovery of patients suffering congenital conditions, trauma injury, postoperative, osteoarthritis care, and other conditions. Increase in incidence of rise in geriatric population, which is at a higher risk of orthopedic diseases are primarily attributed to increase the demand for endoscopy. Moreover, rise in adoption of the devices owing to increasing incidents of accidents and sports related injuries in turn stimulates the market growth. However, the high cost of the customized orthopedic orthotics are expected to restrain the market growth. Asia-Pacific offers lucrative growth opportunity for the market due to increase in healthcare expenditure, growth in geriatric population, and rise in incidence of population suffering from arthritis. Thus, the emerging economies such as China and India possess high market potential.